Downey Daily Photos: The ivy league? 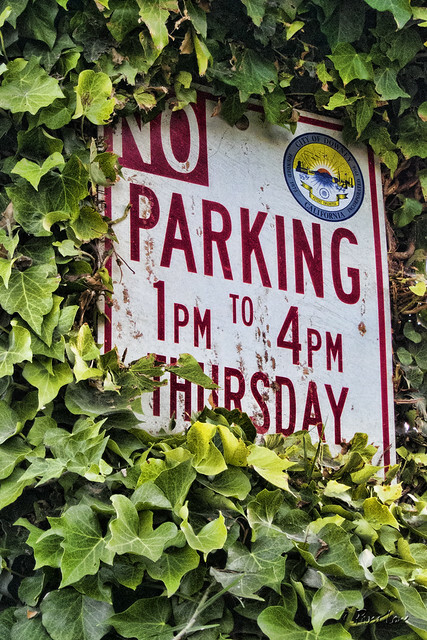 Judging by this sign, you'd think that parts of Downey resemble the walls of an Ivy League college. I wonder who keeps the ivy pruned back. I'm sure parking enforcement tells the city maintenance crews to keep these trimmed. Otherwise, how could they issue tickets?